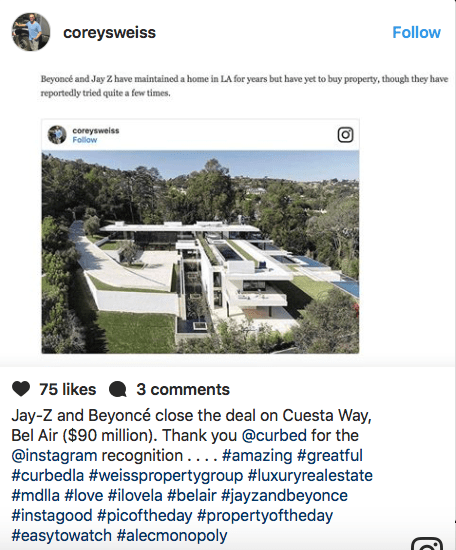 Sources not authorized to publicly comment on the sale have confirmed that the rapper/hip-hop magnate and his superstar wife have closed on a modern mansion in Bel-Air. 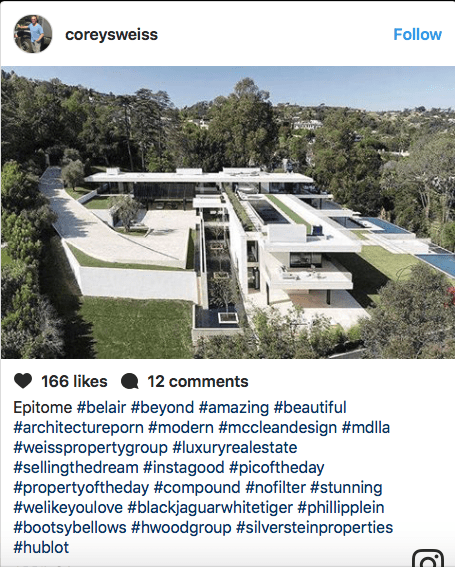 The purchase price is said to be $90 million, though the sale has not yet been recorded in the public record. Completed this year, the sprawling showplace comprises six structures with approximately 30,000 square feet of interior space. Expansive patios and terraces create an additional 10,000 square feet of living space outdoors. Amenities include spa and wellness facilities, a media room and four outdoor swimming pools. Glass-walled common areas open on two sides to enjoy panoramic views. The pocketing glass doors and windows are bulletproof.